Since Michele was a little girl she was always fascinated by rocks, shells and other natural materials. Having started her childhood collection of treasures in such places as Idar-Oberstein and Salzburg, Germany, the French and Italian Rivieras, and many other fascinating locations while living in Europe during her father’s military tour of duty there she continues to add to it as she discovers other intriguing items during her travels throughout the United States. Several years ago Michele began combining her hobby with her passion for creating beautiful jewelry. 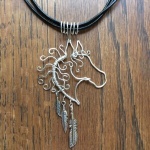 Her wearable art is designed with casual elegance and designer flair so that many pieces can be worn alone or in combination with others to create your own individual style. Most pieces have complementary accessories to coordinate your look. 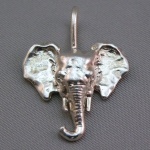 If you have something specific in mind and don’t see what you are looking for custom creations are available. Contact Michele and she will be happy to work with you to design a piece to meet your special needs. Michele lives in Garden Ridge, Texas, with her horses, Labrador retrievers and a Triton cockatoo. While growing up Michele was given the wonderful opportunity to live and attend school in Europe. During her father’s two tours of duty in Germany she and her family travelled extensively throughout the area and this experience exposed her to the many different traditions and lifestyles of the European culture. Ever since she was a little girl, Michele always dreamed of having horses and while this was not possible as a child, Michele got her first horse she as soon as she was able to have one as an adult. 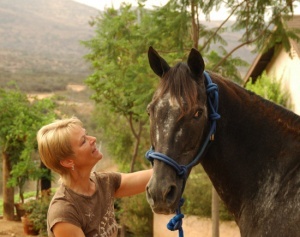 She has ridden a number of disciplines including dressage, English and western and for over a decade was a member of the Rainbow Riders, a mounted drill team that performed at rodeos, parades and exhibitions throughout Southern California. They also competed at the Western States Drill Team Competition in Reno, NV, where they took first place on a number of occasions. 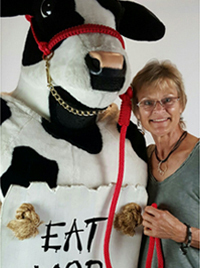 Always loving nature and animals, Michele decided to change her career focus from being in the escrow and paralegal fields to training for and seeking positions offering her the opportunity to work with animals. 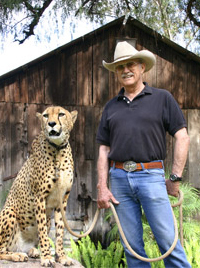 Being employed both at veterinary hospitals and the ranch of Joan Embery, well known champion of environmental and conservation issues, has given Michele the ability to handle and care for a variety of exotic and domestic animals. 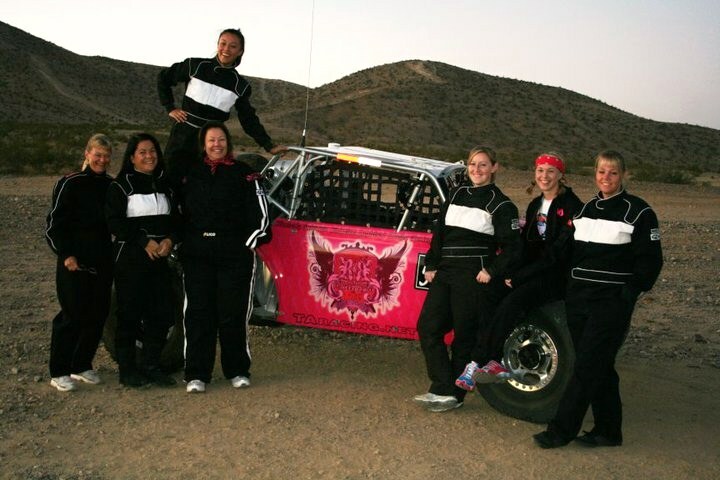 In addition to designing and creating jewelry, other hobbies that Michele enjoys include sewing, cooking, gardening and off-road racing in her son’s Class 5 car including competing in the 2010 Powder Puff race in Barstow, CA, to help raise funds for breast cancer research. Michele was born in Illinois, the daughter of an Air Force mechanic and veteran of WWII and the Korean War. She has one son, Steve, who served in the Army during Desert Storm and currently resides just outside of San Antonio, TX, where he owns a sign shop. Summer, her only grandchild, enjoys riding horses with Grandma as well as playing with all the dogs. Michele also has one brother who is retired from the Air Force and currently flies as a test pilot for NASA based at Edwards A.F.B. in California.